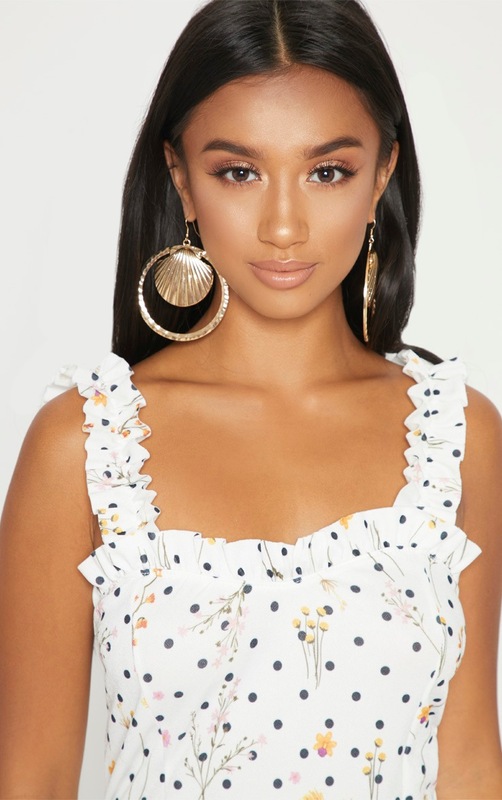 Look super cute in this floral bodycon dress girl. 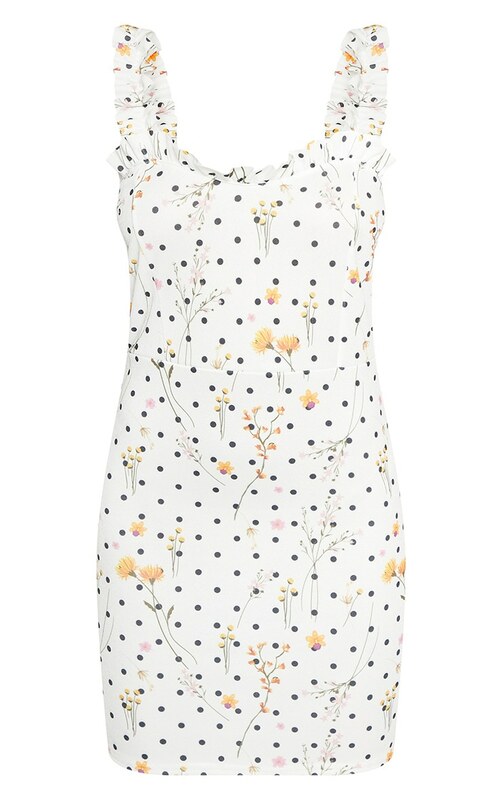 Featuring a white polka dot floral material with a body-skimming fit, this dress is all kinds of summer goals. Team with lace up white sandals and your fave accessories for a look we're totally loving.